You haven't missed the boat after all. The 64GB OnePlus 2 has been given a big price drop in the US and Europe, so you can now get the flagship phone from the burgeoning Chinese company for even less. 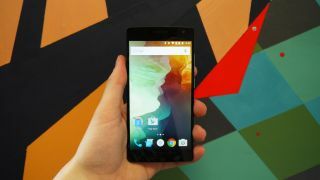 A few weeks ago techradar revealed the 16GB version of the OnePlus 2 would no longer be on sale in Europe or the US, and it seems the company now wants to make up for that move. OnePlus has taken the price of the 64GB OnePlus 2 down from US$389/£289 (about AU$590) to US$349/£249 (about AU$492). That means it's now almost the same price as the axed 16GB model, which cost US$329 or £239 (about AU$464). OnePlus said it dropped the 16GB version because it was seeing "a much greater interest in the 64GB version of the OnePlus 2 in North America and Europe"; the company kept the 16GB phone on sale in countries such as India. Together with free shipping for all phone orders, and the fact that you can now buy the handset invite-free, the price drop means getting a OnePlus 2 is now both a lot easier and a lot cheaper.